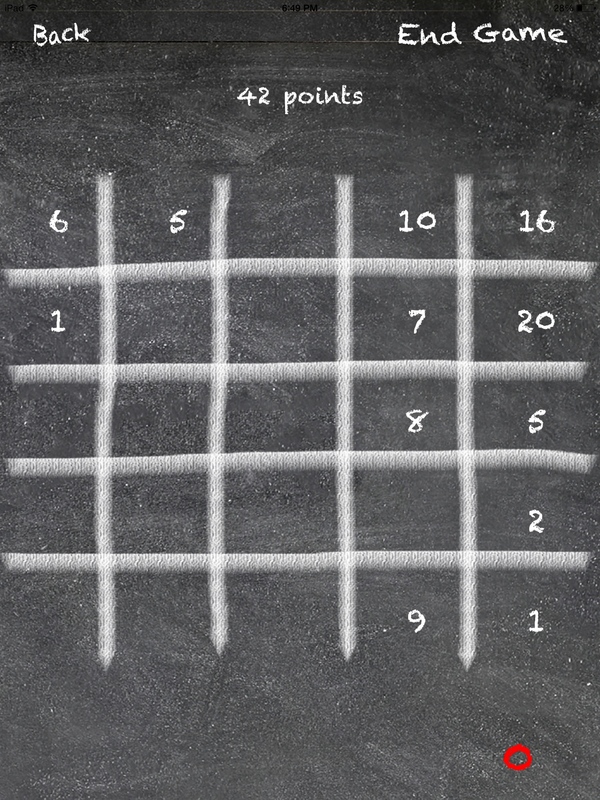 Tally Board, created by Runar Trollet Kristoffersen, is a clever math-based puzzler that consistently provides an interesting challenge. It’s rare to see new ideas in the world of puzzle games, since most puzzlers base their core design on tenants pioneered by other successful games. There are countless puzzle games on the app which at their core are simply variations of match-3, sliding block, or falling block gameplay. 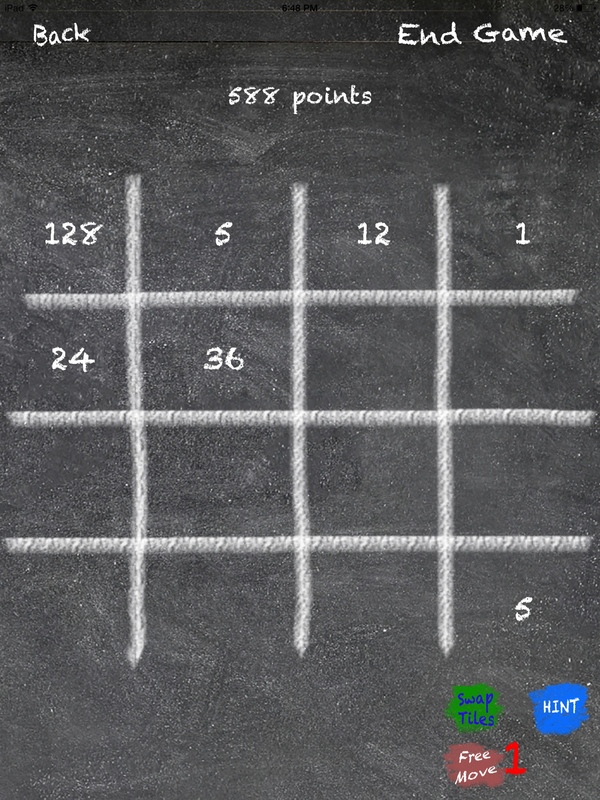 Tally Board stands out because it’s refreshingly new, requiring players to move numbers around a chalkboard and cancel them out using simple arithmetic, with the game ending when the board fills up. 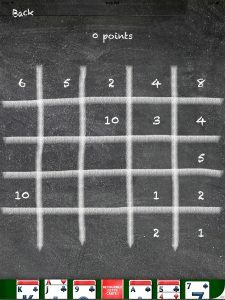 The game is rather complicated to explain, but a simple interactive tutorial does a great job of getting the player up to speed quickly and without hassle. 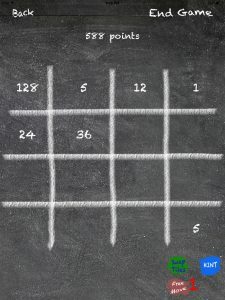 Compared to the multitude of puzzle games offering static text as their only form of explanation, the tutorial in Tally Board is refreshingly helpful. Once gameplay begins for real, prepare to be sufficiently puzzled. 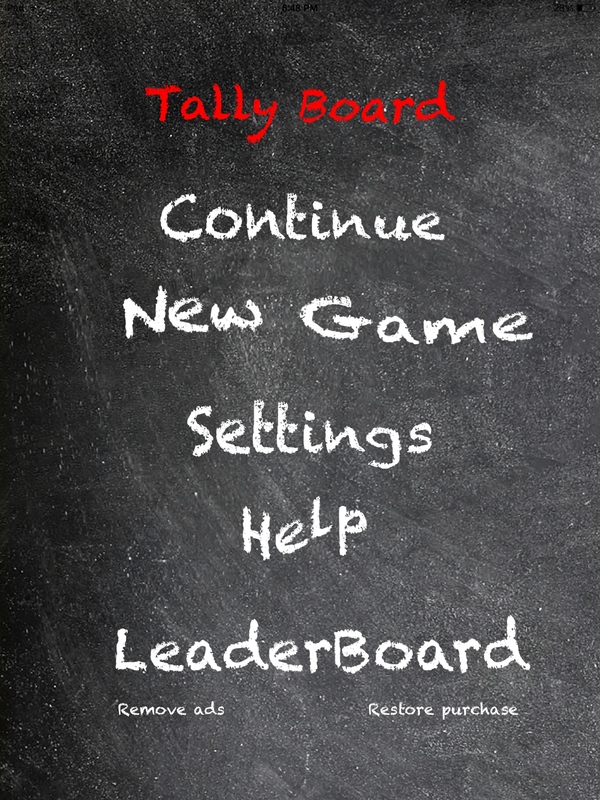 Tally Board fits the description of a game that is easy to learn yet difficult to master. 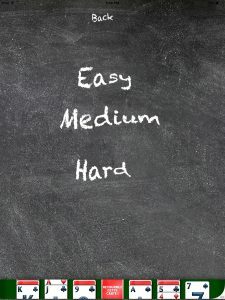 You always know what you’re supposed to be doing, but wrapping your ahead around the way to strategically slide numbers into place can be very difficult, even on the easiest difficulty. It’s a good thing then that Tally Board includes “super-powers”, helpful tools accrued through gameplay that help alleviate some of the difficulty. These powers do a good job of keeping the game engaging even when you aren’t good at it, encouraging repeated play and allowing players the chance to improve without getting frustrated. 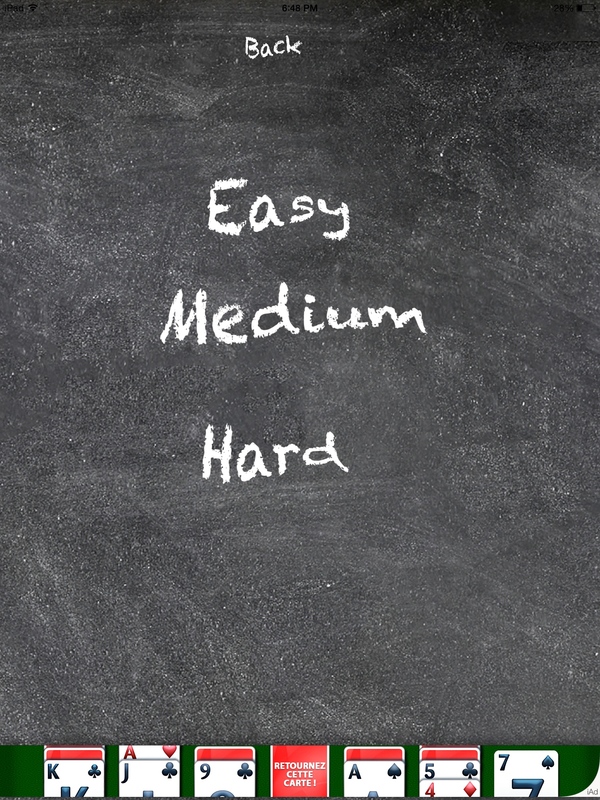 You’ll need to play quite a bit of this game to get good enough to get high scores on the harder difficulty levels. 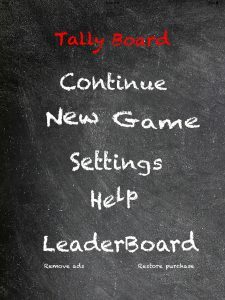 All in all, Tally Board is a great puzzle game that is easy to recommend due to it’s engaging gameplay born from consistent challenge. 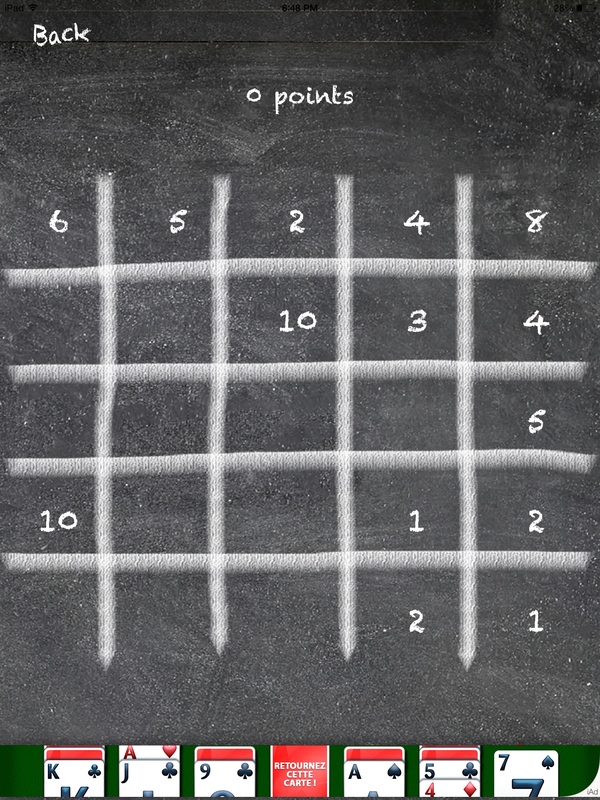 If you like puzzle games, give this one a download. Tally Board requires iOS 7.1 or later. Compatible with iPhone, iPad, and iPod touch. This app is optimized for iPhone 5. Follow Tapscape for the latest iPhone app reviews.